With winter soon upon us, many Canberrans will be making plans to visit the NSW snowfields over the coming months. Due to our proximity to the snowfields, skiing is a popular winter pastime for many Canberrans. 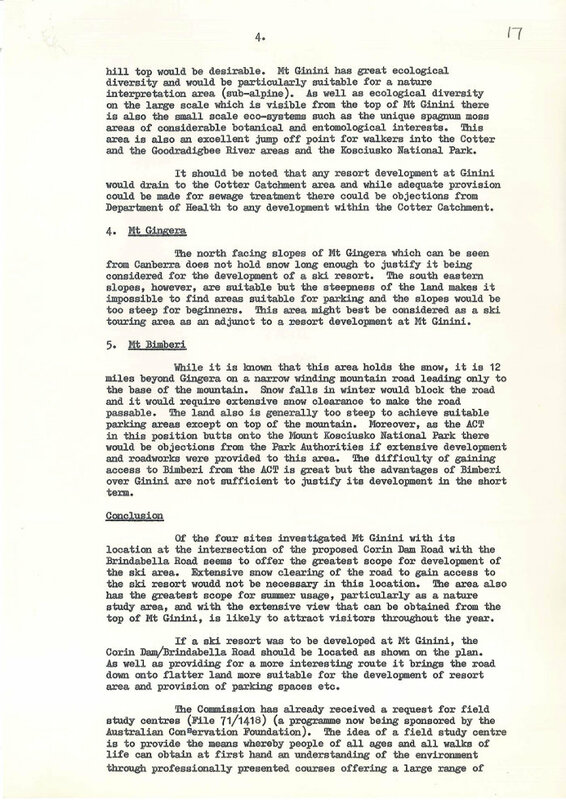 Imagine, though, that rather than the current three hour journey to reach the snowfields, we had our very own ski resorts less than an hour away. 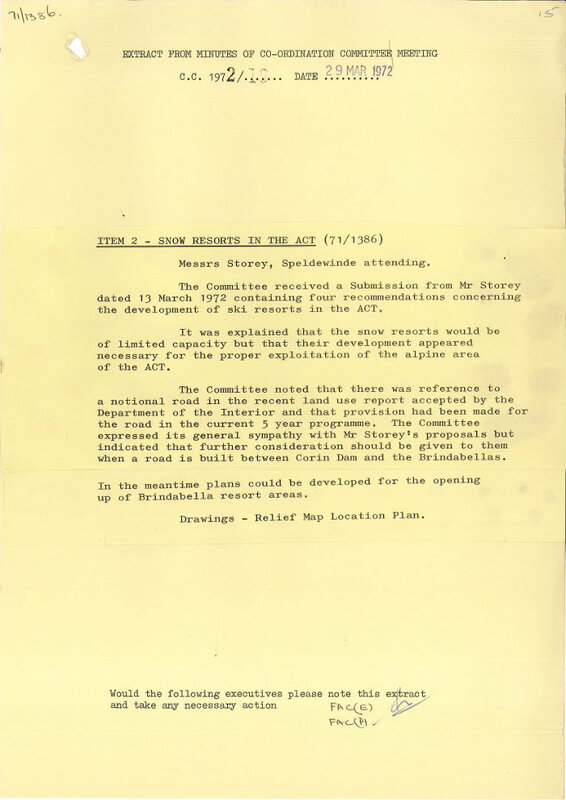 This was proposed by the National Capital Development Commission (NCDC) in 1971, and the file '71/1386 – Snow Resorts in the ACT' and is ArchivesACT's latest Find of the Month. 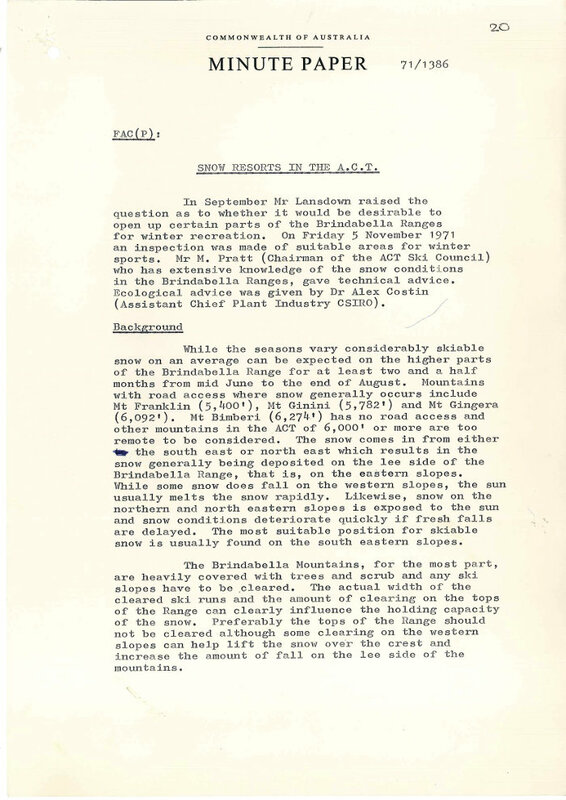 In September 1971 NCDC Associate Commissioner Robert Lansdown raised the possibility of opening up parts of the Brindabella Range for winter recreation. 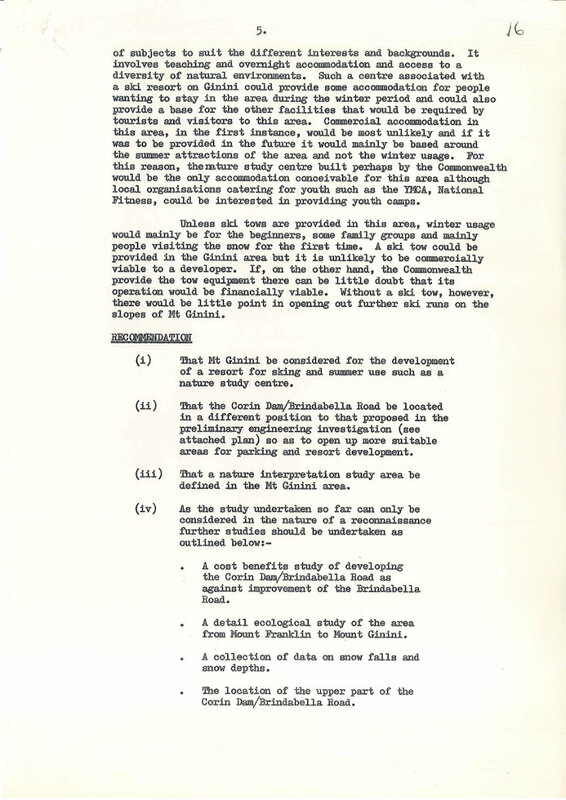 This development proposal predates the establishment of Namadgi National Park in 1984. 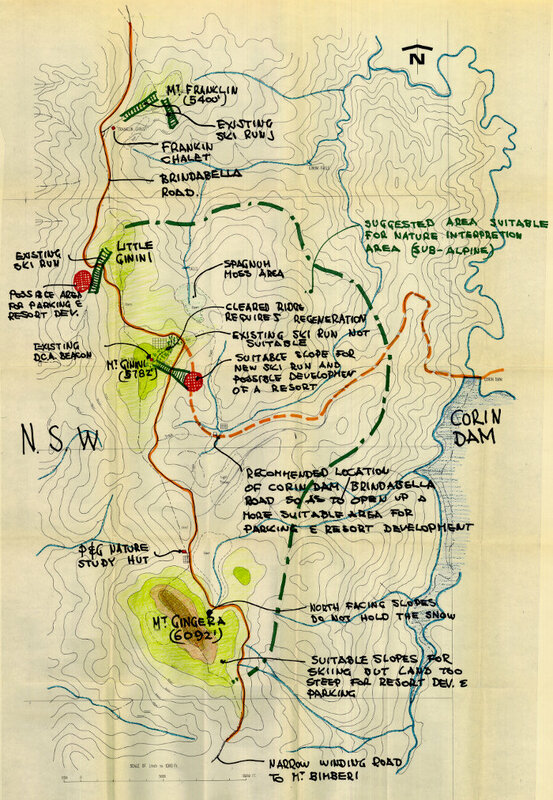 The report that followed recommended Mount Ginini as the most suitable site, and could be reached via a four mile extension of the Corin Dam Road. 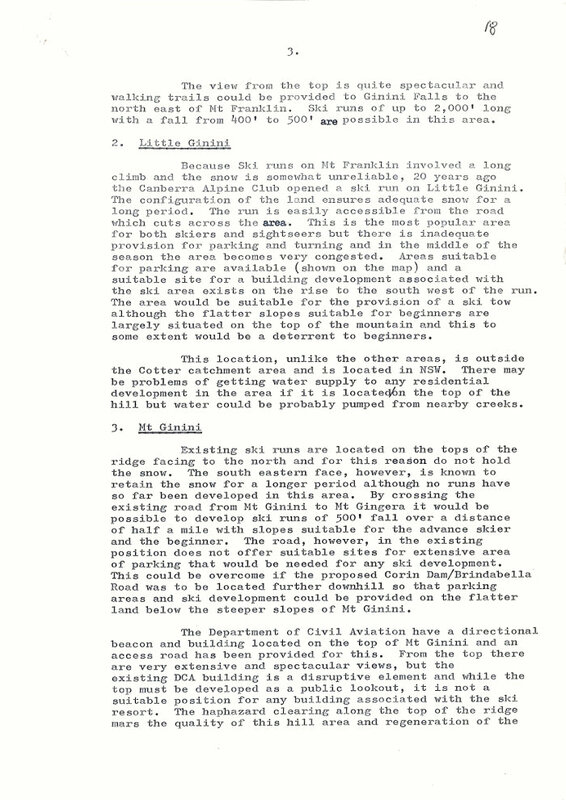 The Department of Works had strongly objected to this route, wanting to keep people out of the water catchment area. 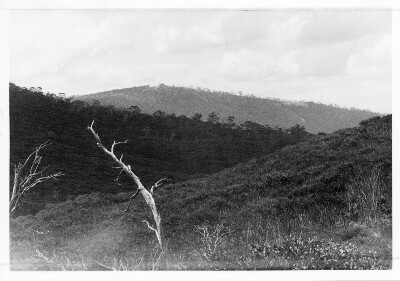 However their proposed 30 mile alternate route from the Orroral Valley was rejected. "Let it snow! Let it snow! Let it snow!" But Where is Our Ski Resort? 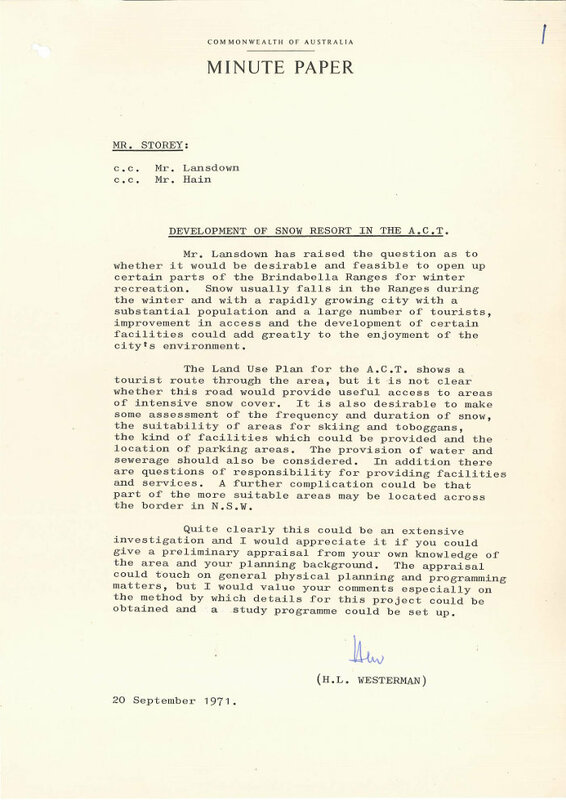 In March 1972 the NCDC Co-ordination Committee decided that it would give the resort proposal further consideration when a road between Corin Dam and Brindabella Road was built. 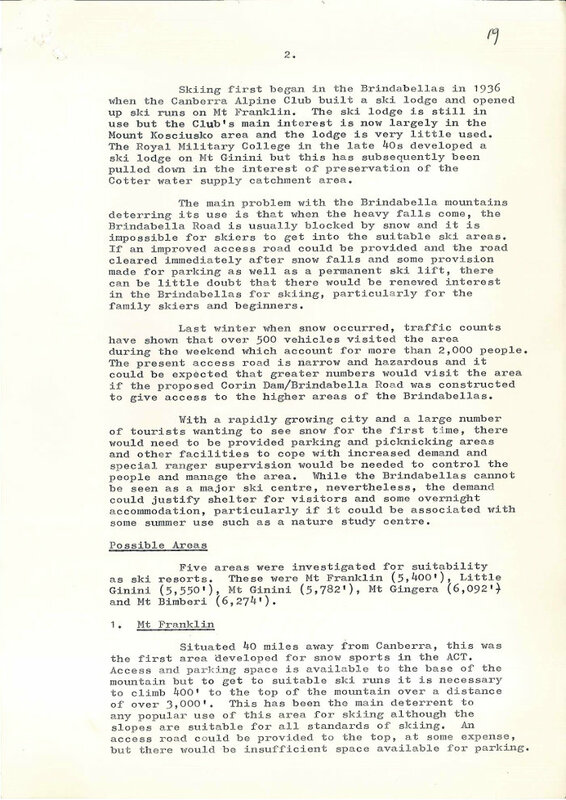 That proposed road was never built, and most roads through the Brindabella Ranges remain a bit rugged for the average day-tripper. 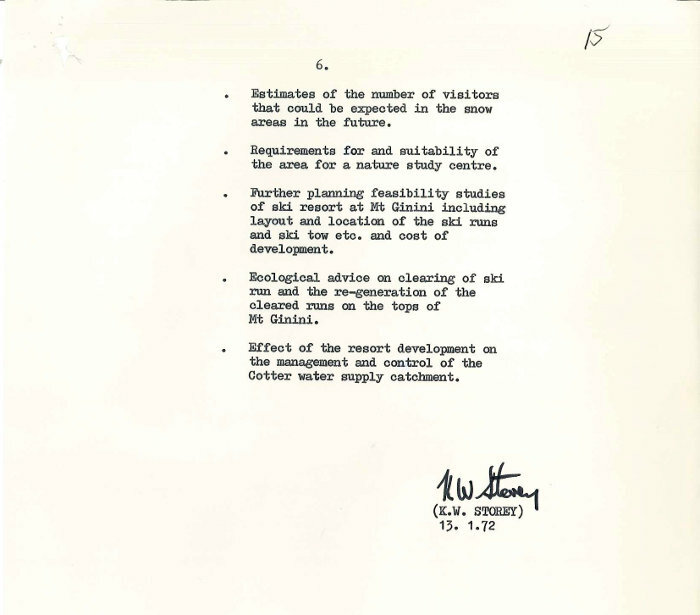 Sadly, that means Canberra never did get its own snow resort.